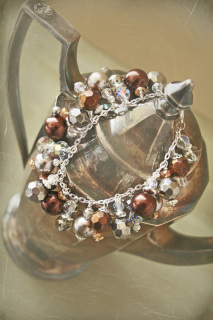 We create charm bracelets that are sure to dazzle. Each bracelet is unique and hand crafted. Bracelets come in various thickness or "chunkiness." Skinny, chunky, and super chunky. 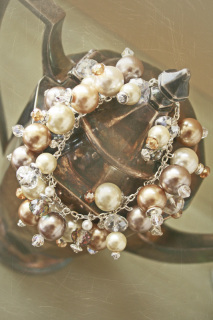 Super chunky bracelets are just like their name suggests they are chunky, containing almost 100 pearls and crystals. 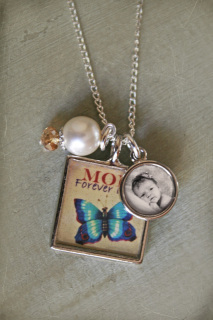 Adding a charm or two to your Pearl Blossom bracelet is the perfect way to personalize it. Charms are created out of photographs, letters, names, dates, places ... you name it and we can create a charm for it. The size and shape we recomend for Pearl Blossom charm bracelets is a round12 millimeter charm. 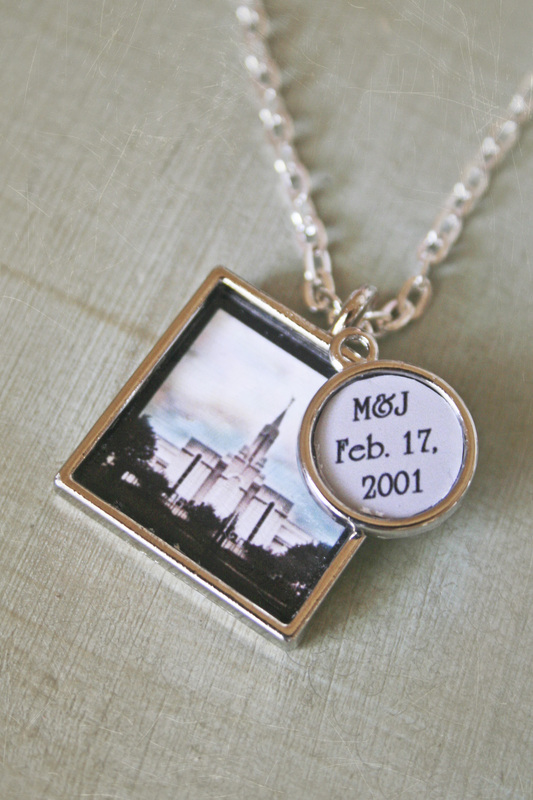 Photographs are sealed inside the charms with resin that protects from moisture, and wear and tear. Custom charms make Pearl Blossom bracelets a perfect way to remember the things you love. Here are a few great ideas for personalized charm bracelets: wedding bracelet with date of wedding, place of wedding, and photographs; baby bracelet for the arrival of a new baby, complete with birth date and photographs; baptisimal dates and photographs; photographs of kids or grandkids; initials of kids, grandkids or loved ones; and photographs and life dates of loves ones who have passed away. The ideas are enless, so get creative and think of how you want to personalize a bracelet. Pearl Blossom bracelets are the perfect gift for friends and family (what grandmother wouldn't love a bracelet or necklace with her grandkids photos or initials?). After purchasing a charm please go to the contact page, and email us so we can create your custom charm together. 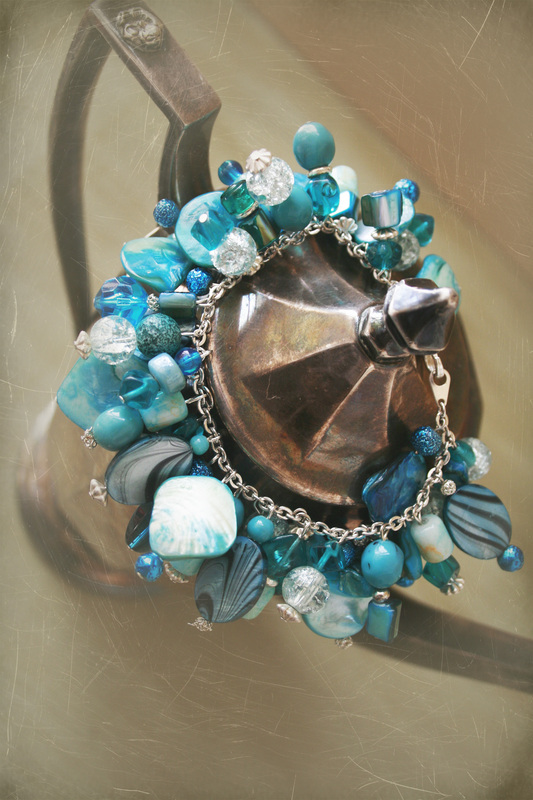 Chunky Charm Bracelet. 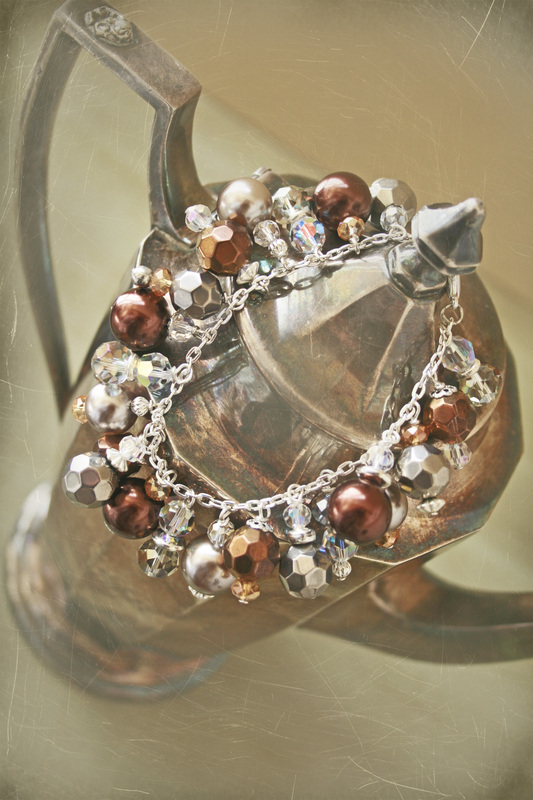 Silver and copper beads make this beauty sparkle. 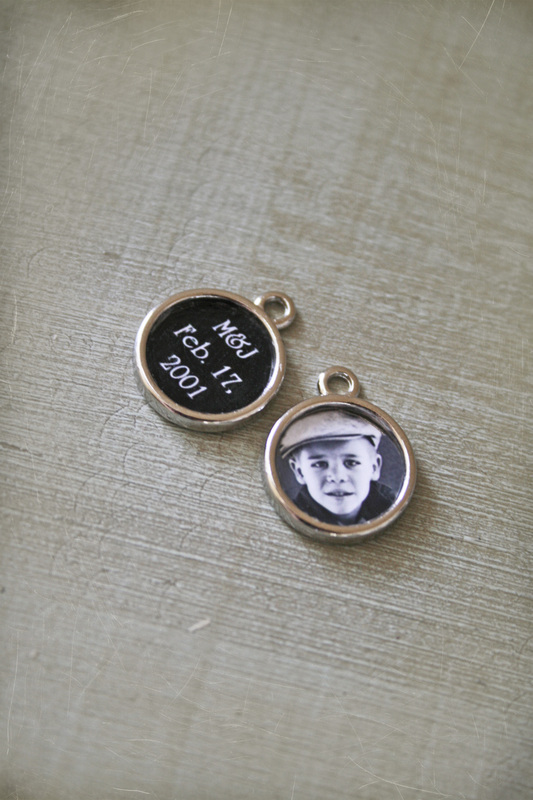 Add a personal photo to your bracelet. 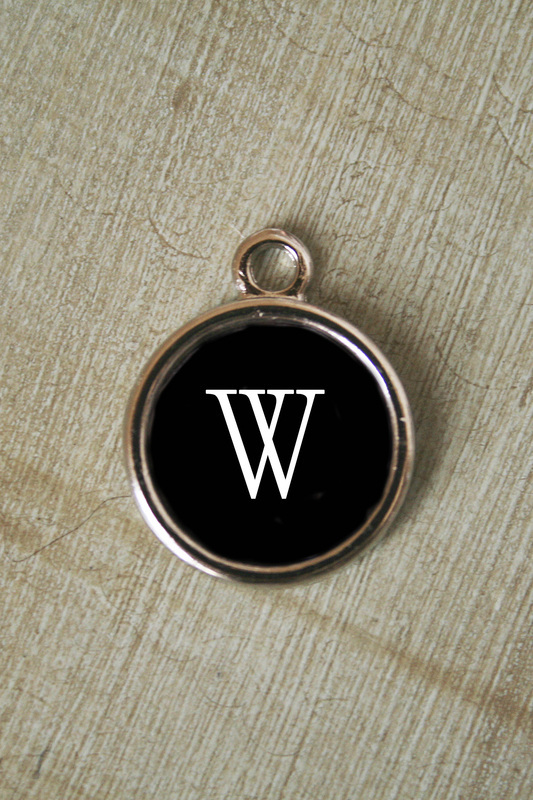 If you want custom charms don't forget, go to contact and send us your info. 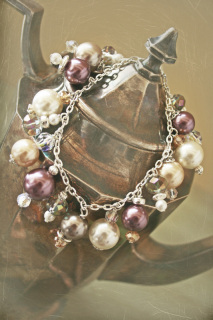 Super Chunky Charm Bracelet. 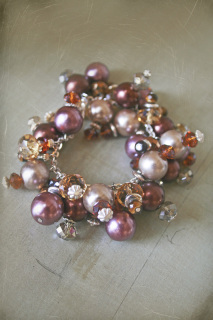 Purple brown, and dark cream pearls, accented by crystlas. 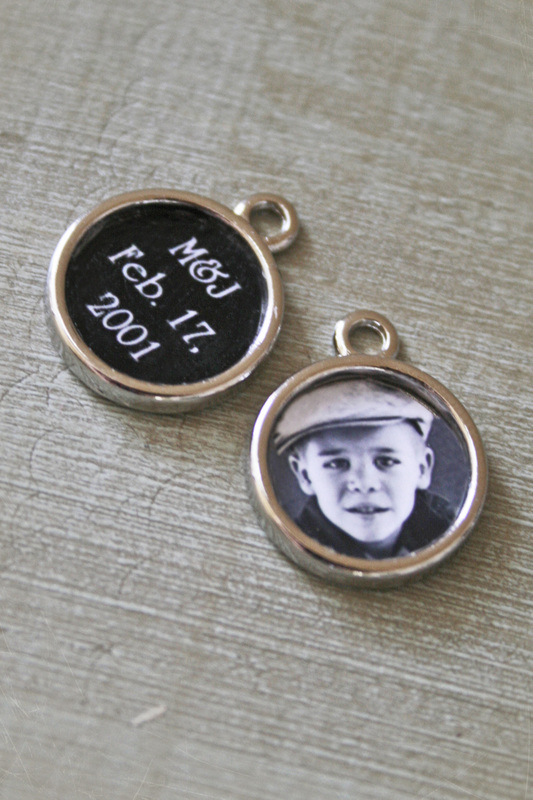 Add a personal photo charm to your bracelet. 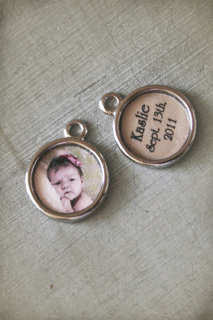 If you want custom charms, go to contact and send us your info.. Price is for 1 charm. Skinny charm bracelet . Cream and violet pearls accented by crystals make this bracelet shine. Customize your bracelet with a charm or two. Contact us with your info. so we can create your personal charm. Price is for 1 charm. Super Chunky Charm bracelet. White pearls, black beads, and gray shell, make this bracelet versitile. Perfect with black and white photo charms. Customize your bracelet with a charm. Contact us with your info. so we can create your personal gift. Super Chuncky Charm bracelet White, and cream pearls, accented with crystals. 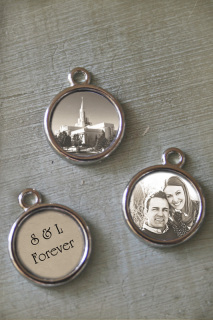 Perfect wedding or anniversary gift. Add a personal charm to your bracelet. Contact us with your ideas. Super Chunky Charm Bracelet. Made with aqua shells and beads. 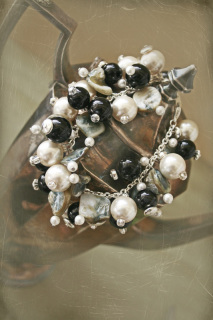 This bracelet is sure to bring life to your wardrobe. 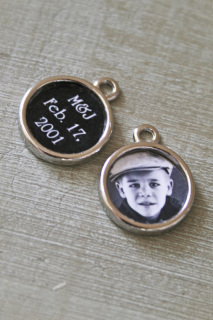 Add a coustum photo charm to your bracelet. Contact us with your ideas. Chunky charm bracelet. 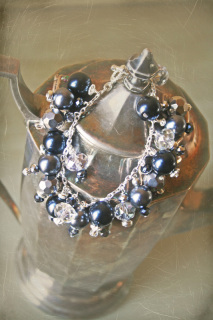 Designed with nay, and grey blue pearls, accented by silver, and translucent crystals. 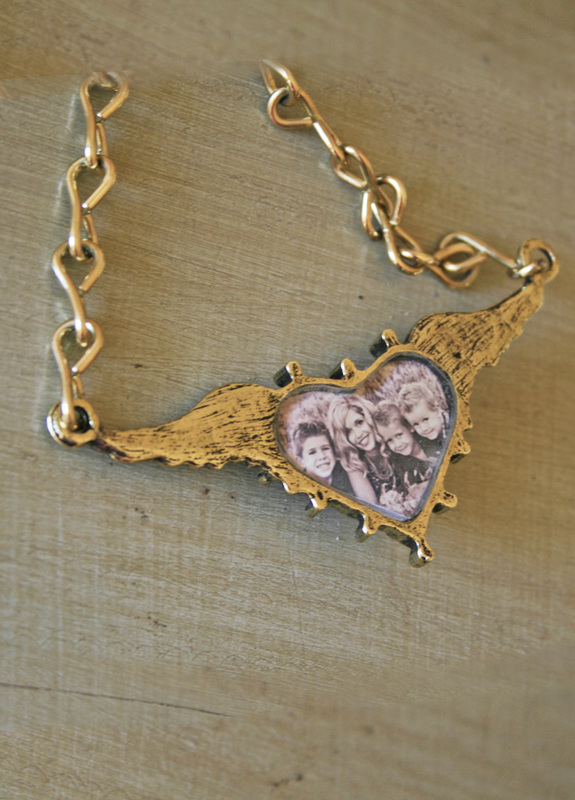 Custom necklace, with photo imbedded on the back of the heart. Square charm is 21mm. Circle charm is 12mm. You can custom create this necklace with any photos or writing you want. Contact us for your custom order. Chain is thick, 18 inches in length. Suare charm with circle charm and pearl. Square charm is 21mm, circle charm is 12mm. Custom order your charms by contacting us with your ideas. chain is thin 18 inches in length. This necklace is super cute! The pendant crystal circles are about one and a half inches in diameter, making it a eye stopper. 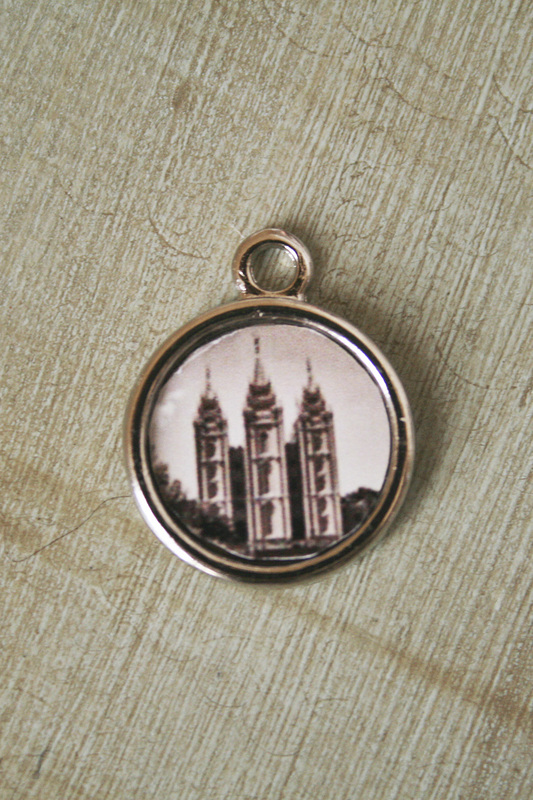 The photos are sealed on the back of the crystal pendants. You can add words or just photos. 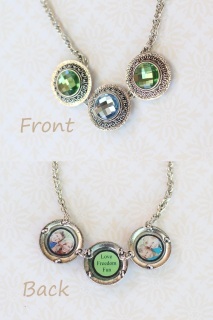 The necklace can be made with 1-4 crystal pendants depending on what you would like. 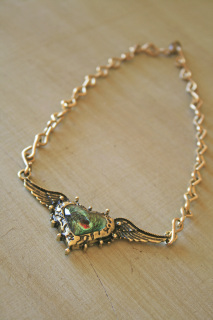 It is a short necklace about 18 inches long.